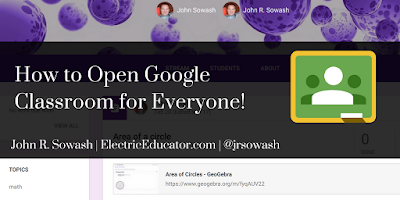 Any user is now able to join a Google Classroom course. This update further enhances the usefulness of Google Classroom. Professional development with a single district, without needing an account in their domain. Collaborative learning and class projects between schools. The ability to invite anyone to join your classroom is NOT enabled by default. In order to enable this feature you must have access to the Google Admin Console. After logging into the Admin Console visit Apps > G Suite > Settings for Classroom > Class Settings. 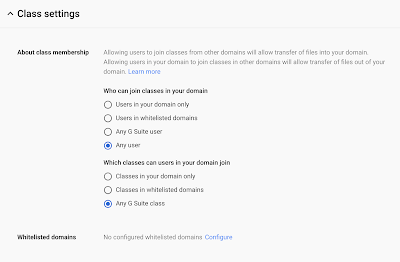 Users in your domain only—Only G Suite for Education users in your domain can join your classes (this has been the default setting since Classroom was launched). Users in whitelisted domains— This option allows you to specify domains that you want to collaborate with. Note that both organizations must whitelist one another for this option to work. Any G Suite user— Users must have a G Suite for Education or business account. 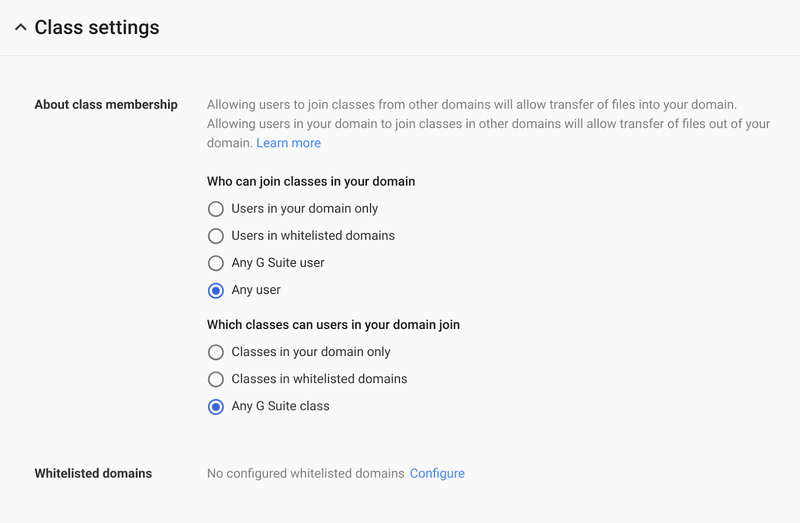 If an email address is not connected with a G Suite domain they will not be able to join the class. Consumer Gmail users (@gmail.com) will NOT work. Any user— Anyone can join the class provided their email address is associated with a Google account. This includes all Gmail users and anyone who has registered their non Google email address with a Google product like Blogger, YouTube, or Drive. I recently tested the use of Classroom with external students during a training I facilitated in Chicago. I had 91 teachers with non-Google email accounts that I invited to my class. Only the teachers who had previously connected their non-Google address to a Google service were able to join my course. This creates some confusion and is difficult to explain. I recommend telling people to use a personal Gmail account to join a class (if they don't have a school provided G Suite account). 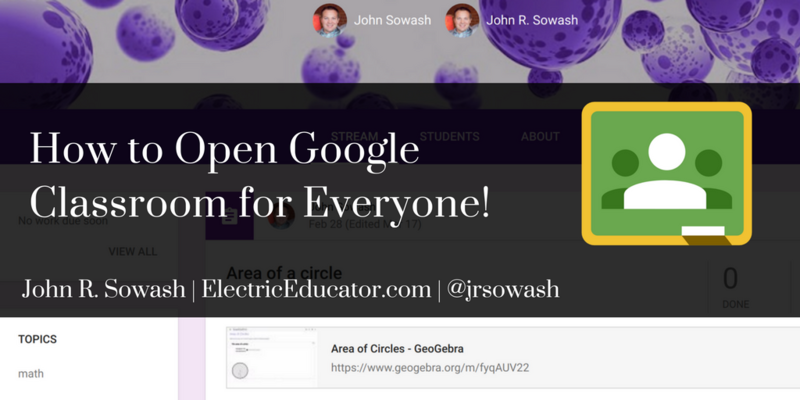 Expanding Google Classroom to all users opens up many new options for using Google Classroom for professional development. As a Google Certified Trainer, I am excited about the possibility of using Classroom to facilitate the workshops that I lead at schools around the country.